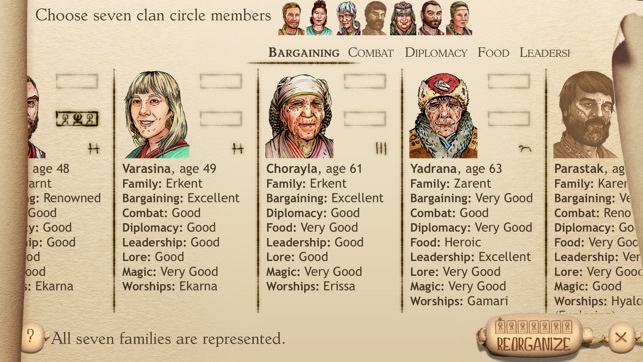 While I was never a big fan of King of Dragon Pass, Six Ages really sucked me in. Improvements to the combat system and the changes to simplify/abstract a few systems (particularly food) have really made the core stories shine. And it’s hard to overstate how ambitious this game is compared to most others I have played on the iPhone. While I have a lot of things that I wish could be different, I think most of them make the game better. For instance, I really wish I could wipe out other clans, particularly my smug, conniving, weak, and stupid Wheel neighbors. The game is not without flaws however. The game seems to have a time limit that cannot be changed and gives no warning. Events and outcomes can be very random. Even when it feels like there’s a reason you lost a battle or a party of explorers never returned, the game gives you no information or clue on why. Being able to restore definitely helps with this but I don’t think players should have to do that just to get a new dice roll on an event. I am definitely looking forward to the next few chapters and hope this game does well. <edit> I have changed the rating from three stars to four. Even though the smaller font issue still exists, it is obvious the developer is active with the community, and it is not a bug. </edit> This is a five star game that I have dropped to four stars for only one reason. The text font size is significantly smaller than their earlier game, KoDP. For a title so reliant on text, this is borderline unforgivable. Either the 'larger font' option is currently bugged, or the developer has made a design decision that has reduced the quality-of-life over their previous game. Opening the games 'side-by-side' shows this dramatic difference in text scale. Hopefully this can be addressed in a patch, and I can improve the rating. I was a huge fan of the first game, and I find myself struggling to play this one. 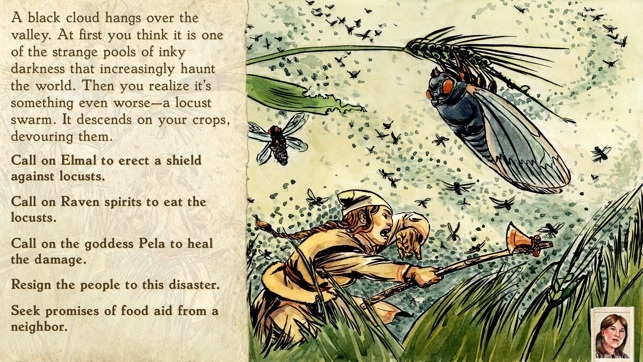 Other than that, fans of KoDP should immediately purchase the title. Anyone else looking for a text-heavy immersive experience is likewise urged to try the game. But if you are a potential customer who is frustrated when games feature small text- I advise caution on your decision. We just had an email exchange with a customer about this, and it appears to be a side effect of the fact that KoDP doesn’t directly take advantage of the iPad Pro screen, and is blown up to appear larger. 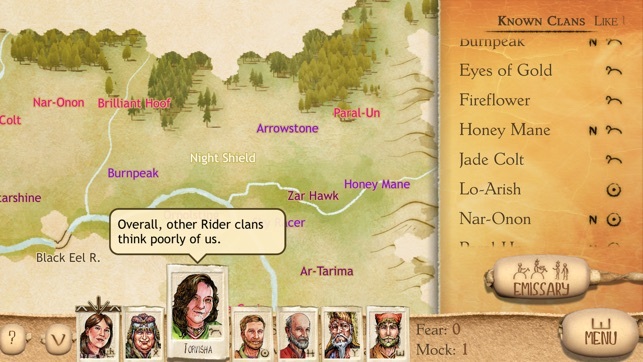 Six Ages shows more information at native resolution. If you aren’t the same individual, please contact us (at bugz@a-sharp.com) so we can investigate. Never in my wildest dreams did I think there would be a sequel to King of Dragon Pass! 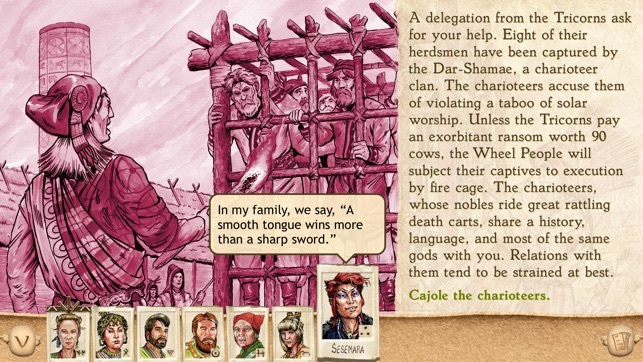 Six Ages takes all of the lessons learned from porting KODP to iOS and streamlines a lot of the more fiddly bits of the original game. 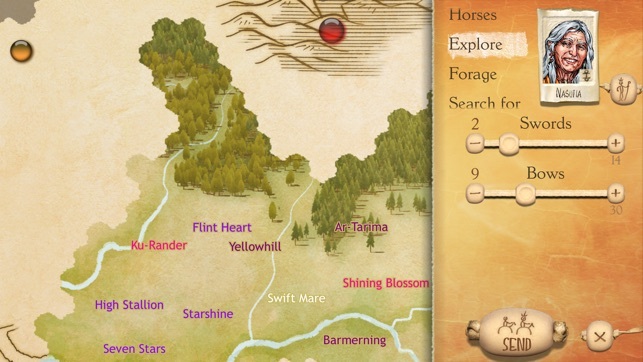 The game casts you as an entire tribe of horse riding barbarians who have to struggle to establish themselves in a land where the rules are different from Earth and everything is alive. 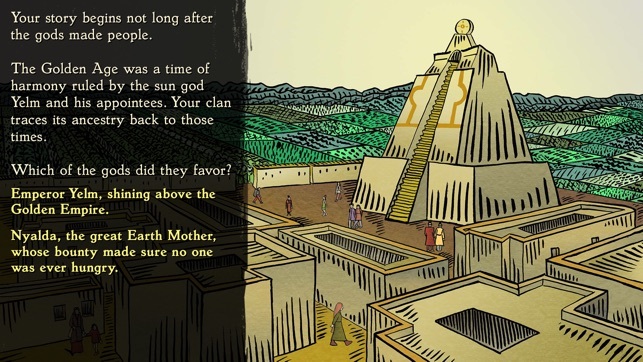 This game will challenge you to think like a barbarian and guide your tribe to wealth or ruin (and perhaps even more!) 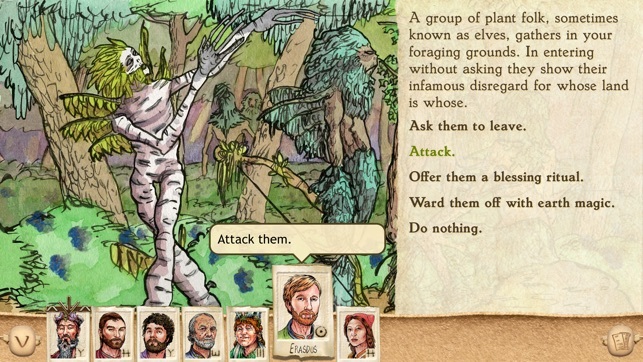 The game is turn based, with you choosing actions for your tribe and resolving situations that occur as time passes. 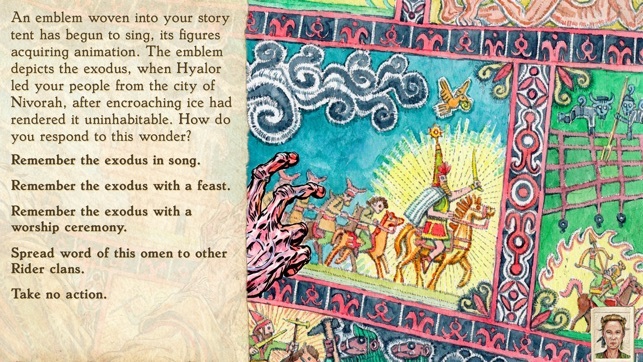 There is combat, trading, diplomacy, magic, rituals, and more as you learn about the weird and wonderful world of Glorantha. The music, visuals, and gameplay are a step up over the original and it is a worthy successor. 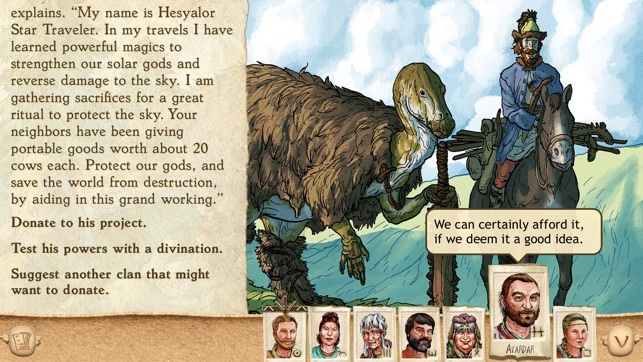 I found a play through took about three days of concerted effort which is shorter than the original “long game” from KODP but in general I found it to be very rewarding with lots of opportunities for alternative approaches in subsequent playthroughs. Additionally, the developer has committed to introducing new scenarios into the game for no additional IAP charge. 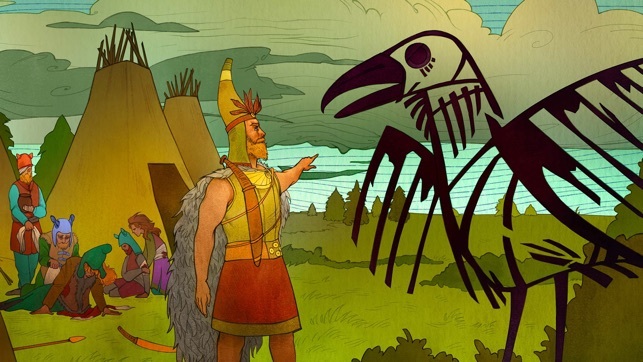 In general this is a very promising and exciting continuation of one the most unique and immersive roleplaying/simulation games ever made! While we do plan to update the game with more art and events, what we plan are entirely new games that will continue your clan’s saga at different periods.